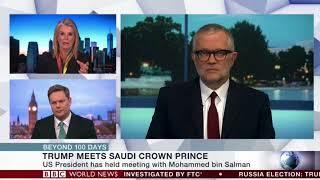 Saudi Arabia always has to have a close relationship with the US government and the crown prince has worked hard to cultivate a close relationship with the Trump Administration just as his antecedents did with previous presidents. There is a meeting of minds on, for example, the need to counter Iran. But, the crown prince has also come to the US to meet with business leaders and encourage bilateral investment, in accordance with the Kingdom’s socioeconomic reform blueprint, Vision 2030. The Yemen war is a tragedy and the Kingdom is working to address the humanitarian situation, but Saudi Arabia felt that its security was threatened by a growing, Iran-allied militia, on its southern border, and believed it had a responsibility to act. At the same time, Yemen is also being used by the US Congress as a way to curb the executive branch’s war-making powers, in accordance with the War Powers Act.